Michael Avenatti says 2020 Democratic nominee "better be a white male"
Michael Avenatti, the lawyer for a woman who allegedly had an affair with Trump and a cable news fixture, said in an interview with Time Magazine that the Democratic nominee for president in 2020 "better be a white male." Avenatti has been mentioned, often by himself, as a potential presidential contender. "I think it better be a white male," Avenatti said, because people are more likely to listen to white men than they are to women and minorities, which is why he believes he has had success representing Stormy Daniels and immigrants separated from their children at the U.S.-Mexico border. "When you have a white male making the arguments, they carry more weight," he said. "Should they carry more weight? Absolutely not. But do they? Yes." Many of the potential 2020 presidential candidates are women and people of color, such as Sens. Elizabeth Warren, Cory Booker and Kamala Harris. After the article was published, Avenatti told the Daily Caller that those quotes were "complete bulls---." "I never said that, that's complete bulls---. That's my comment, complete bullsh---," he said. Avenatti told reporters later on Thursday that his comments were "misquoted and out of context." He said that he had repeatedly discussed "the need for white males to step up and call out racism." He added that he didn't believe it was an insensitive remark. 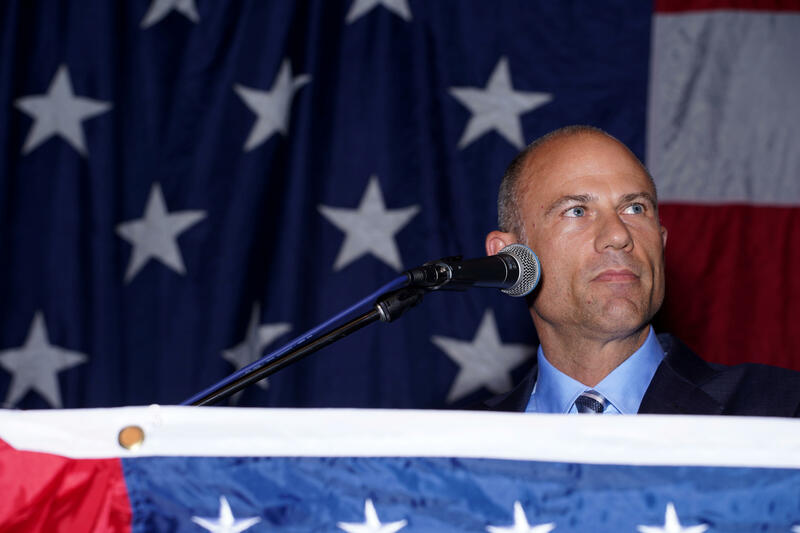 Although Avenatti has garnered presidential buzz in recent months, and has visited the early primary states Iowa and New Hampshire to speak at Democratic events, his star has waned due to professional setbacks this month. Daniels' defamation lawsuit against Mr. Trump was dismissed by a federal judge earlier this month. Avenatti also suffered a setback when Supreme Court Justice Brett Kavanaugh was confirmed. He represents a woman who claims that Kavanaugh had been involved in sexual misconduct when he was a teenager. Many Democrats privately fumed that Avenatti's presence in the debate over Kavanaugh had been a distraction which aided Republicans. Senate Judiciary Committee Chuck Grassley sent a letter Thursday to the Justice Department requesting Avenatti and his client be criminally investigated for making potentially false claims. Avenatti argued in the Time piece that while there may be better Democratic presidential candidates, he would be more successful because of his aggressive tactics. He said that the Democrats have "a lot of talent, but not a lot of fighters." In the article, Avenatti also took some pride in what he characterized as upsetting reporters, an activity which Mr. Trump also enjoys. He said that after he gave a rousing oration in New Hampshire, reporters "were just ashen" and he "took tremendous pride in that moment." Although Avenatti may not be a traditional candidate, he had some defenders in the article. "You've got to be brave to go up against Trump," said GOP consultant Rick Wilson. "Avenatti's got balls. Giant, clanking, titanium balls."